DulinCut&Trim was founded in 2016 and has quickly become one of the fastest growing lawn & landscape services in Anne Arundel County. We are very proud of the reputation we have built and I encourage you to take the time and Google our business, I promise you will be impressed with what our customers have to say. We have been able to maintain a high level of service excellence by always keeping our values at the forefront of every thing we do. Our men and women are passionate about making a beautiful place for you and your family to enjoy. Everything we do at DulinCut&Trim is in support of our core values. From the prayers uttered every morning, to the family friendly nature of our employees, to the respect that is paid to the true, organic beauty of nature, we hope our values shine through in everything we do. Since 2016 DulinCut&Trim has received 5-Star reviews by more than 30 customers, by far the most for any young company in the area and we believe our commitment to quality service is what has set us apart. Sign up with us today and enjoy peace of mind knowing that a family focused business is now maintaining your property. Our experienced team here at DulinCut&Trim can breathe new life into your tired landscapes. Our men and women are trained to create and reveal beauty on the properties of our customers. Our professionals are trained in safe planting practices, weed removal, pruning, trimming, transplanting and many other skills related to the beautification of your landscaping. The technicians at DulinCut&Trim are experts in the creation of mulch beds and the optimal application of mulch. We take care to apply mulch so that it will encourage healthy root structures in your plants and trees Over on the video section of our Facebook page you will find video after video of what our men and women are able to accomplish and we would love to bring those same results to your next landscaping project. 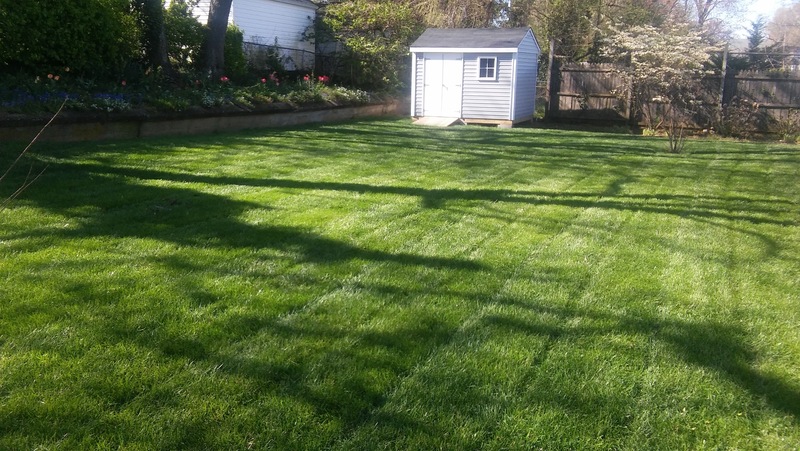 At DulinCut&Trim we take great pride in the success of our sod installations. We are so confident that your next sod project will be a success that we will guarantee the success of the sod or we will come back and replace it. We can maintain this level of confidence by taking control of every part of the install process. From sourcing the sod from local farms, the utilization of locally produced fertilizer, expert installation, to our insistence that we setup the watering system, we know that your sod will be a success. We have laid several thousand square feet of sod since our company’s inception and every one of customers have been beyond ecstatic with the results. We can bring this level of satisfaction to your next sod install, shoot an email to one of our customer service representatives and we will get you started on the road to a lush, green lawn.